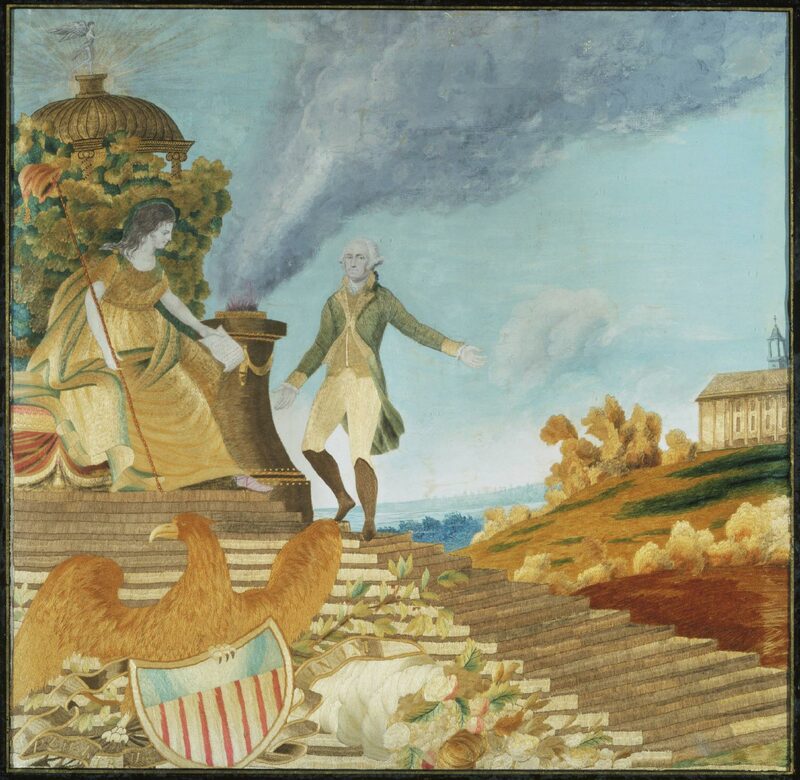 Scene inspired by a 1797 entertainment held in Philadelphia honoring Washington's retirement to Mount Vernon after his second Presidential term. Sarah Montgomery Thompson, American. Based on a drawing by John James Barralet, Irish (active United States), 1747 - 1815. Drawing engraved by Alexander Lawson, American (born Scotland), 1773 - 1846. Engraving published by Benjamin Davies, Philadelphia, 1799, American. This composition is based on General Washington's Resignation, which was drawn by John James Barralet (1747 - 1815), engraved by Alexander Lawson (1773 - 1846), and published by Benjamin Davies in Philadelphia in 1799. Dilys E. Blum, from The Fine Art of Textiles: The Collections of the Philadelphia Museum of Art (1997), p. 85.